Once you’ve finished your decking space, and start making use of it, you’ll wonder why you haven’t constructed one earlier! 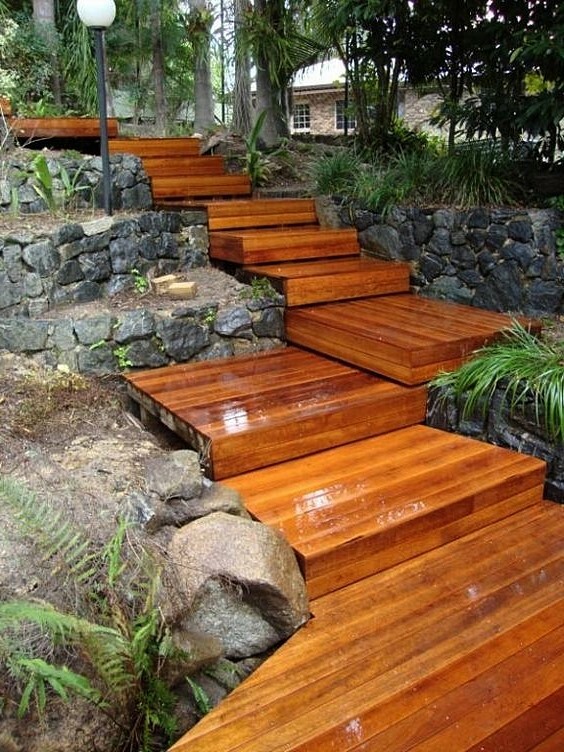 Decking Tip 1 Renovator Auctions first tip, no matter what the project, is do your research. Look up our old favourites Pinterest and Houzz and check out which types decking areas will best match your property, what you will use the decking for, and what building materials will suit the decking. 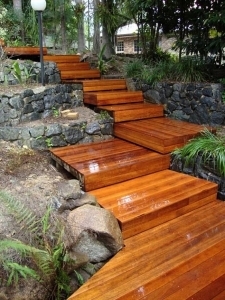 Decking Tip 2 Think about having your decking professionally designed by either an architect or a draftsperson. They will consider if things like – if doors will open onto decking or lighting, and are construction requirements are being met. Decking Tip 3 This article on Build.com Do You Need Permit To Build A Deck In NSW can give you a quick intro into some council permits and the NSW Department of Planning and Development expectations and what safety procedures need to be followed. Decking Tip 4 Although decking can seem like a basic piece of building, mismatched decking can actually decrease the value of your home, rather than increase it. The style of decking you choose needs to ‘fit’ the rest of your house and yard space. Decking Tip 5 There have been some devastating decking fails in the past few years, so you need to have professional advice about supports under your decking, unless you are an owner/builder with considerable experience. Decking Tip 6 If you’re not planning on house flipping in the next couple of years, think about what decking will be the easiest to maintain and last the longest. For helpful tips read our decking timber blog. Luckily Renovator Auctions often have premium quality decking at an extremely budget friendly price, so make sure you check out our latest catalogues. Decking Tip 7 Build the type of decking to match what it will be most likely to be used for. Obviously, if you are either single, or a couple, and would just like an area to sit and soak up winter sun, or have the odd barque dinner – a small area of decking might be suitable. But if you are a bit of a party-person, or you are planning for a family in the future, then a large area of decking is a lot more appropriate. Decking Tip 8 The best place to find high quality building materials and decking at a fraction of retail price is Renovator Auctions. Keep track of our online catalogue, or simply pay our Liverpool Showrooms a visit. Prepare yourself to be amazed. An outdoors decking area is almost an essential part of our Sydney lifestyle. However, constructing decking might not be as simple as what you think. So, to minimise the chance of making mistakes, take your time to research, and seek advice from professionals before you design and build your decking. To find out what decking is up for auction check out our Building Materials Catalogue which is uploaded at 5pm Friday every night. Come and pay us a visit at Renovator Auctions Western Sydney showrooms, 28-34 Orange Grove Road, Liverpool (Warwick Farm), phone: (02) 9822 7883, fill out the form on our contacts page, or email us. For even more inspiration and tips like and follow us on our popular Pinterest and Facebook pages.